They point to results of a 5-year Danish case-control study published in 2002 that showed the stroke risk associated with CHCs to be directly correlated with estrogen dose.6 No increased risk was observed with a formulation containing 20 µg, while the 50-µg formulation was linked with a 4.5 odds ratio. In addition, a large US study published in 1998 observed no increase in stroke risk among women using low-dose CHCs.7 Calhoun and Batur added that continuous use of ultra-low-dose formulations (containing ≤20 μg of ethinyl estradiol) may reduce aura frequency and prevent menstrual migraine. They concluded that if pregnancy prevention is the only goal for a patient with migraine with aura, they would recommend a contraceptive without estrogen. “However, we would consider prescribing a combined hormonal contraceptive in a low-dose regimen if the patient prefers this regimen for other health benefits (eg, acne control), if she has no other risk factors for stroke, and if she gives her informed consent after a discussion of the risks and benefits,” they wrote. For additional perspectives, Neurology Advisor consulted Nauman Tariq, MD, assistant professor of neurology and director of the Headache Center at Johns Hopkins Hospital, and Andrew Charles, MD, professor of neurology at the David Geffen School of Medicine at UCLA and director of the UCLA Goldberg Migraine Program. Neurology Advisor: Recent articles suggest that the contraindication for combined hormonal contraceptives in women with migraine with aura is now outdated since low-dose CHCs have become the norm. Do you agree? Dr Tariq: I have a difference of opinion in this regard. It is true that low-dose CHCs are now common. The issue is that women with migraine with aura have an intrinsically slightly higher risk of stroke later in life.2 The question is whether adding a CHC increases the risk even more. The current research supports this notion, but we do not have a well-designed long-term prospective cohort study to give a definitive answer. Dr Calhoun makes a case about low-dose CHC being associated with a lower risk of stroke in migraine patients with aura as compared to high-dose CHC. But I feel that even low-dose formulations, if taken over years, can have a potentially cumulative effect and hence play a role in stroke. Therefore, I would be cautious advising this option. 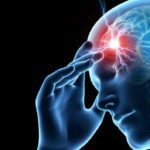 Migraine with aura can be debilitating, but I do not believe it is worth taking the risk of stroke, especially when other treatment options have not been exhausted – not to mention the medicolegal implications that may arise should stroke occur. Let’s suppose if the CHCs were not at all related to a new stroke in that particular patient; we cannot definitively prove that one way or the other. Dr Charles: Yes, [the apparent lower risk of stroke with low-dose formulations] is part of the issue, but another part of the issue is that there are significant flaws in the studies on which the contraindication is based. Neurology Advisor: What are some of the risks and benefits clinicians should weigh when considering prescribing a CHC for patients with migraine with aura? Dr Tariq: If first-line therapies like medications, blocks, and Botox have failed to help the patient, then women younger than age 35, without any history of blood clots, nonsmokers with normal body mass index and no family history of early strokes, heart attacks, or breast cancers can be offered this option provided discussion regarding future stroke, heart attack, and breast cancer risk has been documented by the neurologist. In these otherwise healthy young women, I try an estradiol patch for 7 days only. If I feel that a long-term trial of CHCs might help them, I always defer these cases to the patient’s gynecologist. Dr Charles: The main risk for prescribing CHC in patients with migraine is that they have the potential to exacerbate the migraine. Although they can improve migraine in some women, they can also make things worse. Neurology Advisor: What are some key takeaways or other important treatment implications for clinicians regarding this scenario? Dr Tariq: I believe the conventional treatment options should be tried first before considering CHCs in patients who have migraine with aura. Dr Charles: While the relative risk of stroke in patients with migraine may be significant, the absolute risk is extremely low – it is actually a rare phenomenon. It is also important to understand that it is very rare for a stroke to happen during a migraine attack. Dr Tariq: I am not aware of a long-term prospective study spanning 30-plus years that involves female patients with migraine divided in 2 research arms, one using CHCs and others not using them. This type of study should look at the incident stroke or heart attack events. If well designed, this study could help us determine whether CHCs would be appropriate for these patient. Dr Charles: A significant component of the risk of stroke in patients with migraine may be related to a patent foramen ovale (PFO). A significant percentage of the population (up to 25%) have PFO, and this is associated with migraine with aura.8 This could explain the stroke risk associated with oral contraceptive agents; these cause an increased risk of clots in the blood that could travel across the PFO and cause stroke. Future research clarifying the relationship between PFO, stroke, and oral contraceptive use would be beneficial. Zouitina Y, Terrier M, Hyra M, Seryer D, Chillon JM, Bugnicourt JM. Prolonged acute migraine with aura and reversible brain MRI abnormalities after liquid sclerotherapy. J Headache Pain. 2014;15(1):41. Androulakis XM, Kodumuri N, Giamberardino LD, et al. Ischemic stroke subtypes and migraine with visual aura in the ARIC study.Neurology. 2016;87(24):2527-2532. Tepper NK, Whiteman MK, Zapata LB, Marchbanks PA, Curtis KM. Safety of hormonal contraceptives among women with migraine: a systematic review.Contraception. 2016;94(6):630-640. Sacco S, Merki-Feld GS, Ægidius KL, et al. 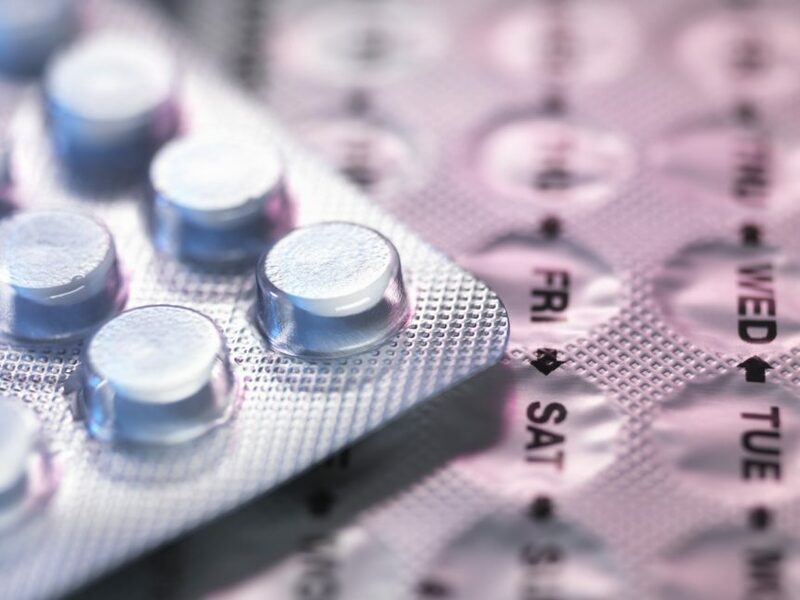 Hormonal contraceptives and risk of ischemic stroke in women with migraine: a consensus statement from the European Headache Federation (EHF) and the European Society of Contraception and Reproductive Health (ESC).J Headache Pain. 2017;18(1):108. Calhoun AH, Batur P. Combined hormonal contraceptives and migraine: an update on the evidence.Cleve Clin J Med. 2017;84(8):631-638. Lidegaard O, Kreiner S. Contraceptives and cerebral thrombosis: a five-year national case-control study.Contraception. 2002;65(3):197–205. Schwartz SM, Petitti DB, Siscovick DS, et al. Stroke and use of low-dose oral contraceptives in young women: a pooled analysis of two US studies.Stroke. 1998;29(11):2277–2284. Diener HC, Kurth T, Dodick D. Patent foramen ovale, stroke, and cardiovascular disease in migraine.Curr Opin Neurol. 2007;20(3):310-319. Close more info about Hormonal Contraceptives and Migraine: Is It Time to Revisit Stroke Risk?